Crafted at the Awagami mill in Japan, this paper has 300 years of washi papermaking experience behind it. Traditional Japanese fibers such as kozo and gampi are combined to create a paper that adds subtle refinements to finished work. 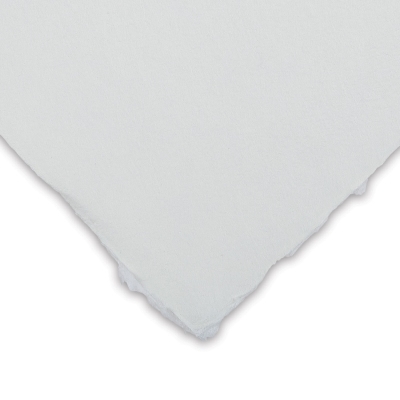 Its relative thickness, generous sizing, and neutral color make this acid-free, archival, 110 gsm paper suitable for both drawing and printmaking. Awagami Shiramine Select Paper features four deckle edges.